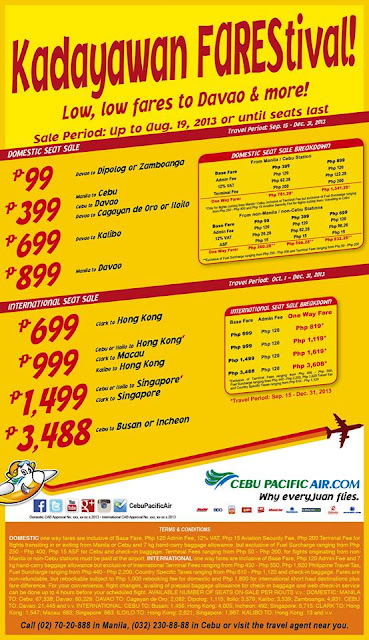 Cebu Pacific Promo: Kadayawan FAREStiva! Low, low fares to Davao and more! For as low as P99 from Davao to Dipolog or Zamboanga! This is your chance! Grab it now! Our latest ‪#‎CEBseatsale‬ starts now. Log on to http://www.cebupacificair.com/ to book your next flight with us!